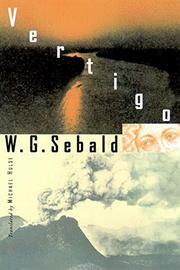 The predecessor to Sebald's two acclaimed novels of history, memory, and melancholy—The Rings of Saturn (1998) and The Emigrants (1996)—is a lesser, more autobiographical work, yet it moves in elegant, unanticipated ways across time, the landscapes of Europe, and into the depths of human experience. imagination, the narrator shifts abruptly to 1980 and a disconcerting trip to Vienna, Venice, and Verona, where his persistent unease gives way to full-fledged terror that sends him scrambling home to England. Determined to repeat the trip, in 1987, he has Kafka in mind as he nears Verona: K. had arrived there in 1913 in a state of mental distress and taken a cure at nearby Riva. Bypassing Verona to follow in K.'s footsteps, the narrator is sidetracked and winds up at a hotel, writing obsessively—whereupon his passport is stolen, he's nearly mugged, and he's in such a state that he no longer remembers where he is. When he does, he finally returns to Verona to complete his research, then decides to visit the Alpine village in southern Germany where he lived as a boy just after WWII and which he has not seen since. Awash in a flood of memories, anchored only by an old man who knew him well, he remembers the man's family, the blond barmaid he was fond of, the forester who died in a suspicious fall, and his bout with diphtheria. As winter comes he returns to England, bringing along the ghosts of his past. For all its mystery and profundity, there's also much self-absorption in this traveler's tale, and its tone must be overcome occasionally to appreciate where the story is going.